Are you planning to say “I do” in the hill country? Austin, TX is among the top wedding destinations, thanks to its beautiful hills, wildflowers, and down-right southern hospitality. It provides the perfect destination for couples to throw a celebration of love that is unique and unforgettable. Berry Creek Country Club is a 1,100-acre golf course situated in the picturesque foothills of Texas Hill Country. It is the crown jewel of Georgetown with acres of lush lawn, a gorgeous crescent-shaped pond, tranquil lakes and fountains all over the landscape. This country club offers the perfect wedding venue that will provide your guests with prestige, elegance, and exceptional service. Their excellent facilities coupled with the picturesque views will make yours a truly romantic setting that you and your guests will always remember. It promises to make your vision of the perfect wedding a reality. 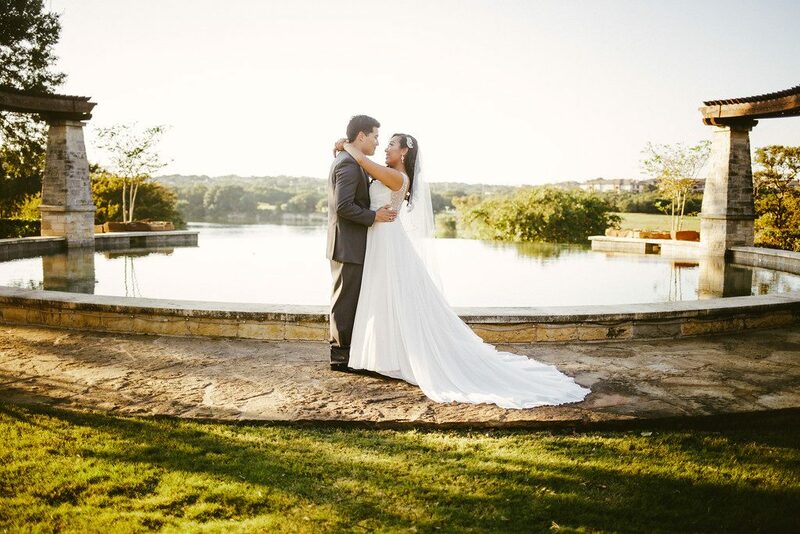 Nestled among the rambling creeks, hills, and canyons of Northwest parts of Austin, the Twin Creeks Country Club provides one of the best wedding venues. This country club offers awe-inspiring views of indoor and outdoor locations that create endless opportunities for your special day. Couples can take advantage of its open spaces and beautifully landscaped grounds to host their family and friends. Not only is this an outstanding reception venue, but it also offers a dedicated ceremonial court that provides you with an all-inclusive option for your wedding day. The Twin Creeks Country Club offers spectacular views of the perfectly manicured 18th green, lake and woodland area. Burrowed along the banks of the brushy creek is a hidden treasure that provides a magnificent location for the wedding of your dreams. The natural beauty of this ranch offers an ideal setting for any wedding that ensures couples have a unique and upscale site where they can host their wedding and reception. The couple can exchange their vows on the landscaped grounds before going inside for a dinner, cocktail party or an evening of dancing. This venue is tastefully designed in neutral, understated colors, which makes it easy for couples to choose the décor that complements their styles. Your guests will also get a chance to enjoy an unparalleled dining experience complete with gourmet food and drinks. harmony with the natural environment. It is situated on a beautiful property that includes a top-tier golf course, unmatched views of the Colorado River, and a tree-lined boulevard winding drive up to the mountain. The mansion has winding staircases, crystal chandeliers, marble floors, soaring ceiling, multiple fireplaces, and spacious lawns. This ranch offers couples an intimate and unique setting with a chance to enjoy the beauty of its age. TeraVista ranch is one of Austin’s most stunning historical venues that is set in a beautiful 1860s-era ranch house. This ranch offers rustic elegance and beautiful grounds that radiate a timeless charm, making it an ideal wedding venue. Its unique architectural design is matched with lavish, elegantly appointed interiors that provide a sophisticated setting for a truly memorable wedding. You and your guests will get to enjoy everything that it offers, including the rich, colorful history, the original cypress trims, floors and the panoramic views of the rolling mills. Steeped in more than 150 years of Texas history, it offers a perfect backdrop for weddings. You can say “I do” under the towering trees in front of your friends and family. Its expansive covered pavilion offers plenty of space to dance the night away. Couples who choose this wedding venue have complete freedom to use the home’s facilities. The post Top 5 Awe-Inspiring Golf Course Wedding Venues in Austin appeared first on Her Wedding Planner.